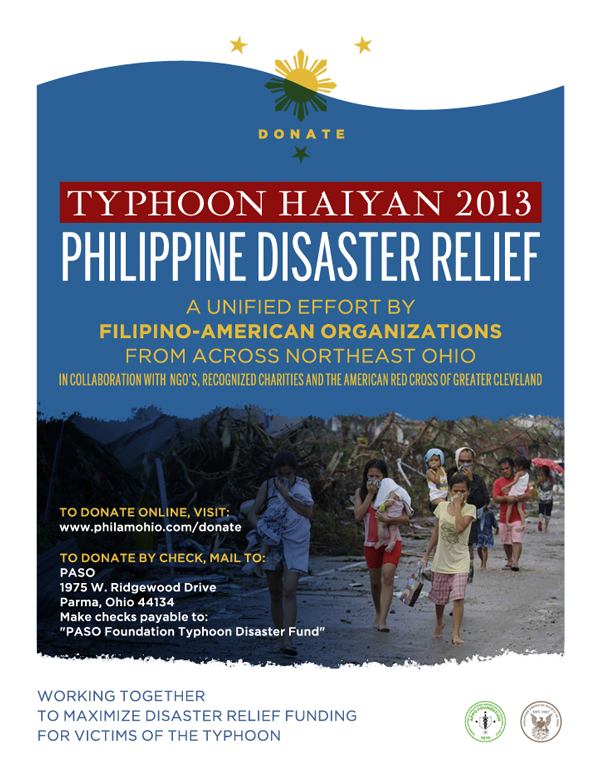 As the number of those affected by Typhoon Hiayan increases, so does their need for aid. Please consider donating to the relief effort and help the victims of this disaster. Typhoon Hiayan was possibly the strongest storm ever recorded, with sustained winds of over 145 mph. It has left destruction in its wake with a reported 4 million people being affected across a large swath of the country. The full extent of damage will remain unknown for some time but the cost of lives, property and livelihoods will be significant. The Association of Philippine-American Physicians and The Philippine-American Society of Ohio have always been dedicated to helping their homeland. Through annual medical missions sponsored by APPO over the past 30 years these organizations have helped more than 300,000 patients. Many charitable and non-governmental organizations (NGO’s) in the Philippines and worldwide have responded in helping the Philippine government provide emergency supplies of food, water, medical supplies and shelter to the affected areas. 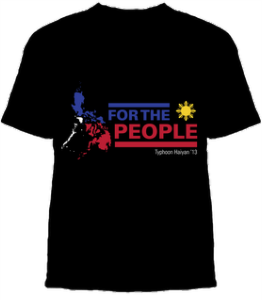 On Nov. 11, 2013, leaders of the different Philippine American organizations (APPO, PASO, PNAO, KOR, FAMSO, PAM, and PCCI) met and decided to work together to solicit donations from friends and their respective communities. Let us all join hands in this effort to help our countrymen. PASO Foundation will coordinate this effort. And we assure you that your tax deductible donations will be directed to the intended recipients. We will partner with charities and NGO’s to provide the needed help. Charmaine Suguitan, a fellow Filipino-Clevelander created a t-shirt with all proceeds going to the PASO Typhoon Disaster Relief Fund. Click on the button below to donate via PayPal or credit card. Your donation will go towards medical supplies and services. For more information on the use of funds, questions regarding donating, or if you’d like the PASO Tax ID for tax deduction purposes. send an email to info@philamohio.com. Thank you to everyone for their donations. 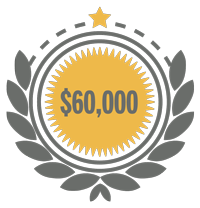 We are over 50% of our goal! Copy and paste code below to embed in your site.